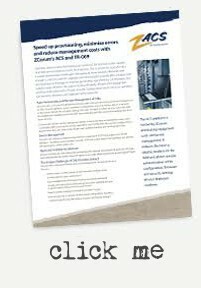 ZCorum’s Auto Configuration Server (ACS) uses the TR-069 standard to provide broadband providers with additional management control over customer premises equipment. 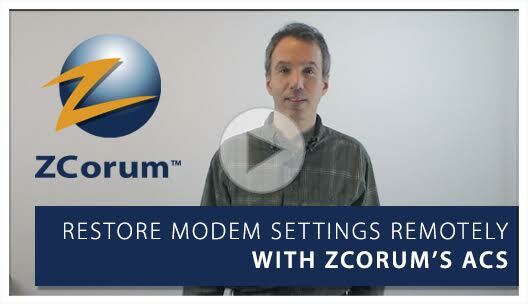 An important feature of ZCorum’s ACS is the ability to easily restore a modem’s configuration, even if a modem dies or is set back to the factory default. This includes settings that were changed or added by your subscriber after the modem was installed, such as the WiFi pre-shared key and SSID, or port-forwarding. Because the configuration is stored on our ACS, just a few clicks will get your customer back up and running the way they were before, greatly reducing support time and customer frustration. ZCorum’s ACS can also be used to manage additional devices in the home that are behind the router, such as subsidiary WiFi access points used to extend the reach of the WiFi network in the home. Do you have to open, connect, power-up and manually configure every modem before it goes out the door? Do you have multiple levels of firmware running on various makes and models of modems that you’ll never get around to updating because it would require rolling a truck to every home? Once a modem is in the field, can you reboot it remotely? (Asking the customer to do it for you doesn’t count). If a modem gets reset, do you have an easy way to recover the last known configuration, including customer-specific ones like wireless security and firewall settings? If any of these scenarios apply to you, then you need ZCorum’s ACS. Our ACS provides remote management capabilities that will save you time and money, as well as improve the level of service and support you are able provide to your subscribers. Ability to maintain and monitor remote CPE units 24/7.